Fired up for Fidelity Club! This February, the Elks National Foundation welcomed me to their team as a Development Assistant. I’m so grateful for the opportunity to start my nonprofit career with the Elks family—a community known for their volunteerism, generosity and charitable work throughout the United States. As a DePaul graduate student studying nonprofit management, my decision to join the ENF stemmed from my passion for volunteer work, fundraising and nonprofit development. After my first week, I was delighted to discover the humility and devotion displayed by the ENF staff and volunteers. Never before have I worked for an organization as friendly and accommodating as the ENF. Their hard work and positive organizational culture mimics the passion and care demonstrated by the Elks. It seems I joined the ENF at a prime time. After a week of pleasantries, we entered the month of March full speed ahead. 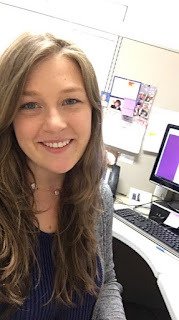 As a new hire, I quickly understood the stress that accompanies the last month of the ENF’s fiscal year. On the front lines, the donor services team processed the year’s final donations, and properly credited donors and their Lodge’s per-member-giving total. Meanwhile, our Youth Programs Associate Billy Donnelly dived into planning a successful 2018 Hoop Shoot National Finals here in Chicago. The CIPsters were busy approving record amounts of Anniversary and Beacon Grant applications while the scholarships department focused on Most Valuable Student judging and hosting the Elks Scholars Spring Service Trip in Asheville, NC. It was all hands on deck at the ENF. Witnessing the ENF at its peak operations helped put my position into perspective. Along with serving our volunteers and donors, my responsibilities include coordinating the outreach efforts for the Fidelity Club—the ENF’s recurring gift program. As I became familiar with the meticulous and time-consuming nature of processing mailed donations, the need for expanding our Fidelity Club membership became clear: recurring support throughout the year would allow us to spend more time and resources on our charitable mission and less on administrative duties, like donation processing. Did you know the ENF offers a secure, convenient and economically feasible way to donate? By joining the Fidelity Club, you can budget your monthly gift to fit your financial capabilities rather than donating a lump sum to the ENF once a year. Donating on a recurring basis is the best way to directly support ENF programs year-round. Rather than waiting for the ENF to process donations sent through your Lodge Chair, your gift can have an immediate impact by taking just five minutes to set up an automatic, recurring donation on our website (enf.elks.org/recurring) through your debit or credit card. These donations can be made monthly ($5 minimum) or quarterly ($15 minimum) and designated to your favorite ENF program. Fidelity Club members receive special benefits and recognition items—such as a Fidelity Club sticker and pin set—as they continue to give month after month. 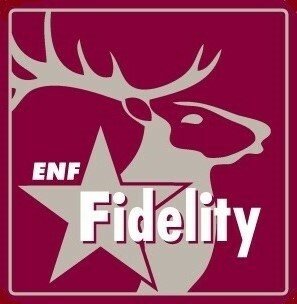 To learn more about the Fidelity Club, click here or contact me at AshleyH@elks.org or 773/755-4858. As I continue to grow with the Elks family and in my position at the ENF, my hope is to shape a donor-centric giving program based on the needs and interests of our most loyal supporters. Each day, I’m astounded by the Elks’ generosity and collaboration through their charitable support and volunteer projects. Thank you to everyone who contributes to the ENF, for you are why I’m excited to come to work every day and help Elks build stronger communities.